Note: I wrote this post for the BERC Blog last December. “If Einstein saw this, he would roll in his grave!” exclaimed my friend. It was only yesterday that my friends and I were buying samosas at a Berkeley restaurant, where hanging on the wall was a photo of a typical electric pole in a typical small alleyway in a typical old section of Delhi. Like the tangled hair of an electrified hairbrush, black lines meshed and shot out from the top of the wiry mess, winding from the pole through windows and across streets to electrify homes, shops and factories. These wire entanglements are a product of people for years eyeing the fruit of energy on these poles and throwing up lines and connecting to some of that electric juice; in effect, stealing power in plain sight. I have seen this in urban areas across India and my initial misguided reaction is to think that the government simply needs to cut down the extra wires, put in meters and make everyone pay. Ah, if only the world worked so simply. Soutik Biswas of the BBC, recently reviewed the film, “Katiyabaaz (Powerless),” showing how such simplistic plans can get you reassigned. First of all, I have not actually identified the problem. What is the problem here? Stolen electricity? That’s just a symptom. What the film seems to confirm is that people need power, and once they get it for free they do not want it for not free. This reminds me of attitudes toward water. Instead of extracting water, making it potable, and distributing it; coal or oil is extracted, made into electricity and distributed. It is as if people eye electric poles as one would a community well or drinking fountain. It’s there and it’s ours to use. I remember one hot day, sitting with a man while he sold ice cream from a cart on the street. Up to that point, I had assumed that these carts bought ice to keep their goods frozen. I had worked with kulfi (ice cream) sellers in a slum that used no electricity—only salt and procured ice—to make and sell their frozen dessert. However that day, the man explained that the cart was itself a freezer and just needed to be plugged in all night. And what if there was no power all night? Then, a lot of melted ice cream and no money for the day. 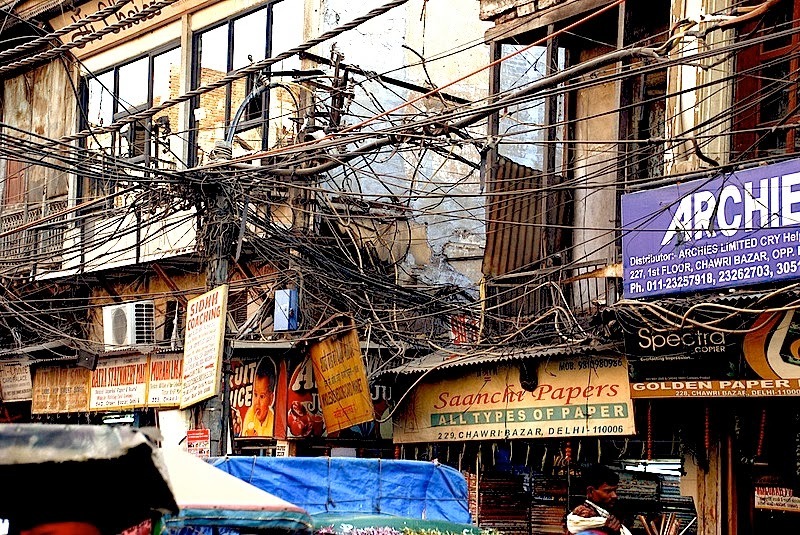 In India, there is an incredible amount of adaptation around unreliable electricity. In the past, I have set up a battery back up in my house in order to make sure I have a fan running all night and have experienced 24 hours without electricity still being expected to take exams in 110°F weather. However, ice cream vendors and cottage industries cannot afford generators to back up their systems. In these conditions, if you knew that power was only a wire throw away, wouldn’t you tap into it? With UN’s Ban Ki Moon aiming for sustainable energy for all, like water, energy is becoming more and more like a fundamental human right. However, water and energy—to be sure—are not the same things. But then again, I suspect Einstein might have something to say about this.